Nitin Singh Bhadauria has done his schooling from Seth Anandram Jaipuria School, Kanpur. After that he did B.Tech from BITS, Pilani and PGDM from IIM, Bangalore. He worked as an investment banker for 2 years in Mumbai and quit his job in 2010. 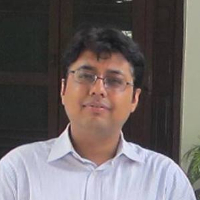 After that he joined IAS in 2011 and currently working as the Additional Secretary of Government of India. IAS (Indian Administrative Services) is the generalist premium service in administration providing one who enters the service with the right leadership role. The entrance is through the UPSC civil services exam and common for all the services like Indian Foreign Services, Indian Police Services etc. , however, the IAS is the most co-awaited service of all. After the selection one has to go for a 2 year training at Lal Bahadur Shastri National Academy of Administration, Mussorie. IAS plays a key role in administration and policy making. "I have done my schooling from Seth Anandram Jaipuria School, Kanpur. After that I did B.Tech from Bits, Pilani and PGDM from IIM, Bangalore. I worked as an investment banker for 2 years in Mumbai and quit my job in 2010. I joined IAS in 2011 and currently working as the Additional Secretary of government of India."